Kathleen Proulx (Doran) passed away on March 16, 2018 at the age of 80. She is survived by her loving husband Daniel Proulx; daughter Trish; sons Dan, Kevin (Cherie); grandkids: Michael, Lynsey, Ava, Ella; sister Eileen; brothers Eamon and Peter. She sang all her life in many choirs and entertained many people. She even sang in a choir in Carnegie Hall in New York city. She will be greatly missed by many people. A Funeral Service will be held on Friday, March 23 at 10:00 am at Immaculate Conception Church, 839 Sutherland Ave, Kelowna, BC. Her life will be celebrated in the Church Hall following the service. 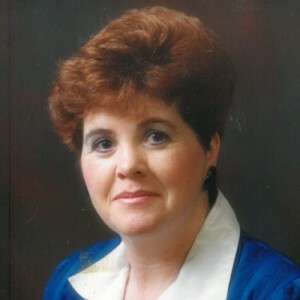 The service for PROULX (DORAN), Kathleen is scheduled for Friday, March 23 at 10:00 am. Below you will find the map for the service location and the contact information should you have any questions. Dan I’m so sorry to hear your Mom passed away, she was a lovely woman and I’m so glad I got to meet her at the Dr’s office. She just loved when I said your son looks just like you!! She beamed. I’m so sorry for your loss. Oh Dan, I’m so sorry. We are all gong to miss that sweet lady so much. Kathy and I sang together, (Carnegie Hall and New York was a thrill), laughed together and cried together. I’ll miss her smile and the twinkle in those Irish eyes. I feel blessed that our paths have crossed on our life’s journey. When the tears come, remember the love. Sorry for your loss,heard Kathy sing many times in church.Her Angelic voice will forever be carried on from up above.My Condolences to you all, that you can find the Love ,and Strength to Cherish her Beautiful memories.